Tonight we celebrated this semester being over, and passing both classes. This was a rough one. I only have 2 more semesters left though! 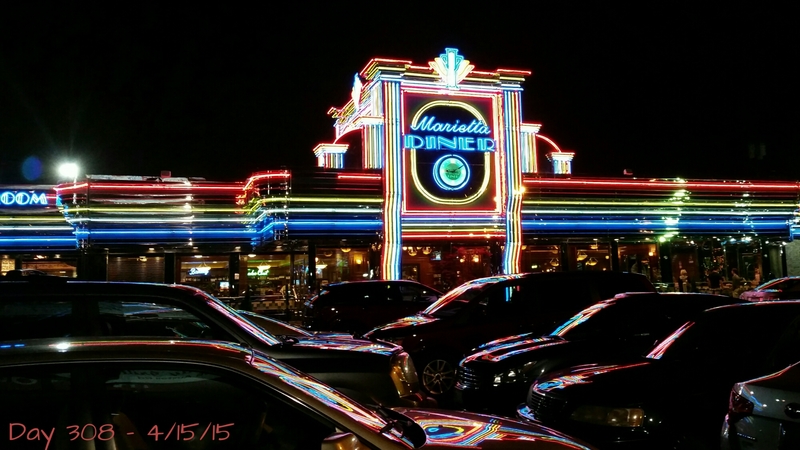 First we had dinner at Tasty China (mmm…tasty…), then we headed over to Marietta Diner for dessert. And boy, was that some dessert. I had (part of) a gigantic slice of carrot cake, and Will had (part of) an enormous oreo mint cake. Now, my belly is stuffed and it’s time to relax and head to bed.